Ary Avnet was born in Brooklyn, New York in 1979, but decided to make Indiana his home after he began attending Indiana University – Bloomington as an undergraduate in 1997. After graduating from law school with honors, Mr. Avnet began practicing insurance defense litigation in Hamilton County for several years. Next, Mr. Avnet practiced transportation law at the largest transportation law firm in the country, defending trucking companies in large loss negligence and wrongful death suits around the country. Prior to forming Avnet Law, Mr. Avnet returned to Hamilton County to practice personal injury law, family law, and criminal law. Mr. Avnet has seen both sides of many of his practice areas. 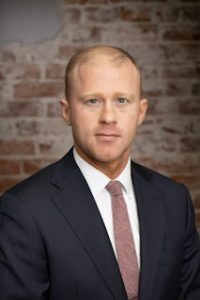 He has represented individual Plaintiffs in personal injury suits, but he has also represented insurance companies and Fortune 500 Companies as Defendants. Learning to defend cases at the highest levels has given Mr. Avnet the ability to evaluate the strengths and weaknesses of his clients’ cases and the intuition to deduce the other side’s likely legal strategies. Mr. Avnet now puts these abilities to use for his clients at Avnet Law.